Kuhlmann is the founding CEO of ING Direct, acquired last year by Capital One for $9 billion. It’s a company that sees itself as the banking world's Southwest Airlines, a cost-cutting upstart with excellent customer service, and its chief executive has a little bit of an outlaw-entrepreneur vibe. He likes to paint and was photographed straddling his customized Harley-Davidson for a 2007 Time magazine profile. If only the magazine had known that his other hobbies include researching the global conspiracy he believed is behind the murder of his old friend and boss. “The question is: Who was actually able to put the hit on?” said Kuhlmann. As Kuhlmann traveled the world trying to repair relationships, trace lost assets and solve the mystery of Deak’s murder, he descended ever deeper into a rabbit hole. One of his stops was in Macau, where Deak’s office manager vanished without a trace after the collapse. Kuhlmann entered the paper-strewn offices to find the manager’s girlfriend sitting at her boyfriend’s old desk. She opened a drawer and pulled out a photo she’d found there: a grainy black-and-white snapshot of Nicholas Deak, lying bleeding on his office floor, just minutes from death. The photo, seemingly taken by Lang, had never been made public. Shortly thereafter, two of Kuhlmann's investigators reported that Lang had met with two Argentineans in Miami before her bus trip to New York. If Nicholas Deak had never existed, Graham Greene would have tried -- and failed -- to invent him. Born and raised in Transylvania during the last decade of the Austro-Hungarian Empire, Deak received a Ph.D. in economics from the University of Neuchâtel in 1929 and held posts with the Hungarian Trade Institute and London’s Overseas Bank before taking a post in the economics department of the League of Nations shortly before World War II. He fled Europe for the United States in 1939, enlisted as a paratrooper in 1942, and was quickly recruited into the Office of Strategic Services (OSS), the wartime precursor to the CIA. Among his first assignments was developing a plan to parachute oil executives disguised as Romanian firefighters into the Balkans to sabotage Axis energy supply lines. (Sadly, it was never implemented.) He spent the final year of the war in Burma, where he recruited locals into guerrilla units to fight the Japanese occupation. Japan’s Burmese commander would surrender his samurai sword to Deak at the end of the war, a memento Deak later kept in his Scarsdale, N.Y., attic. Meanwhile, the sunny side of Deak’s business thrived. Its retail foreign currency operation, now reconstituted under new ownership and known to the world as Thomas Cooke, became a staple at airports, its multi-packs of francs and marks symbols of every American family's European vacation. 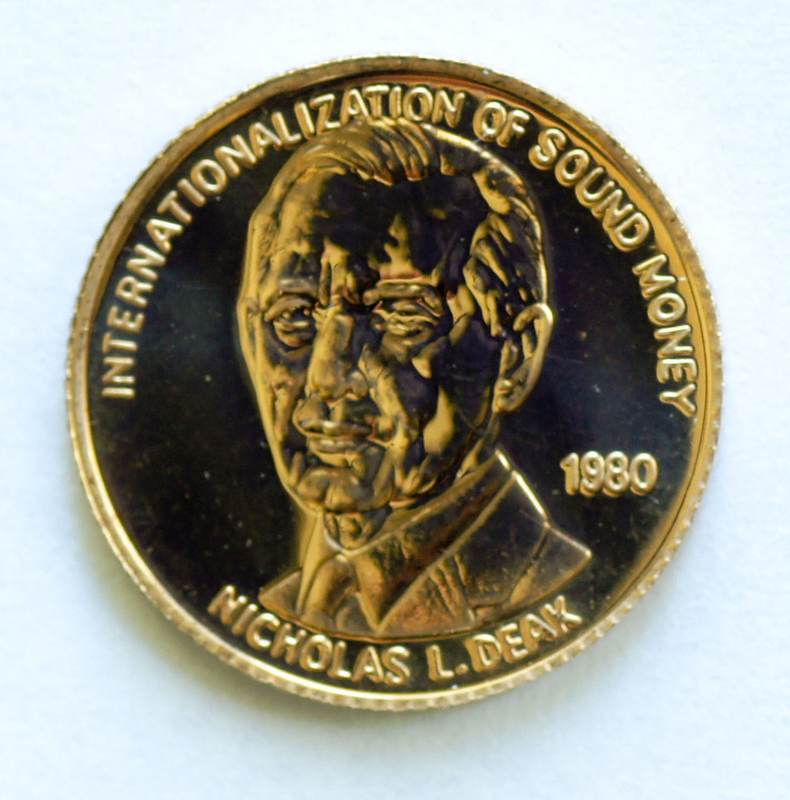 Deak’s retail precious metals business dominated the market after the legalization of gold sales. After a series of sales and reconstitutions, it is today known as Goldline, a major sponsor of Glenn Beck and subject of a recent fraud settlement. When Reagan’s Justice Department established a presidential commission to investigate the charges, a furious Deak rejected participation in what he regarded as a show trial. He was summoned to testify in Washington and refused. Finally, on Nov. 29, 1984, the feds dragged him before the cameras under subpoena for a public dressing-down. Deak openly displayed his contempt for the proceedings. Sardonic and aloof, he responded to questions about his company’s Swiss-like policy of accepting all deposits by asserting that it was the job of law enforcement, not Nicholas Deak, to track drug money. His outrage at being singled out was understandable. At the time, CIA director Casey was working closely with Nicaragua’s contra rebels, who were funding their weapons purchases with cocaine profits in full view of the CIA, an old habit of the agency's dating back to their drug transporting operations in the golden triangle. Of course, the exact justification for burning Deak didn’t matter. And as with the Church hearings, his company was never actually even prosecuted. The message to Deak and his underworld clients was more important: Deak-Perera had lost its protection and was in the cross hairs. After a bankruptcy declaration in December 1984, Deak tried not to think about his new enemies and focus on sorting through his company’s remains. He spent 1985 traveling the globe with his son Leslie, trying ineffectually to revive the firm. Then one wintry afternoon, with the holidays approaching and the "Miami Vice" theme climbing the Billboard charts, a homeless woman from Seattle named Lang showed up at 29 Broadway and brought Nick Deak’s long and storied run to an end. The Stanford Research Institute received CIA funding, and Dr. Melges published work about using drugs and hypnosis to create “disassociative states,” i.e., induced schizophrenia. One of Melges’ partners on these experiments was a doctor named Leo E. Hollister, who first dosed Ken Kesey with LSD as part of an Army experiment in 1960. He later admitted to author John Marks that he conducted drug research for the CIA. Marks' 1979 book, "The Search for the Manchurian Candidate," contains numerous such revelations about other government researchers. 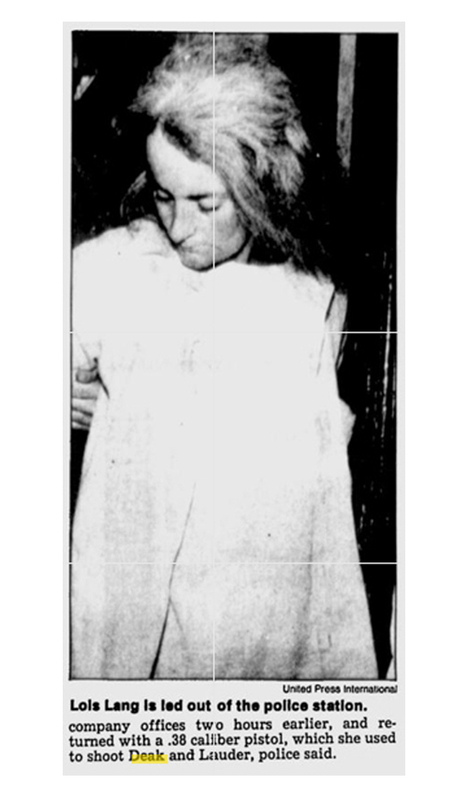 Lois Lang spoke to police and doctors on the day of her own arrival by bus. As during subsequent interviews with psychiatrists, she was incapable of offering more than sketchy and incoherent autobiographical information. She was hospitalized for eight years before a judge finally declared her fit to stand trial in 1993. The prosecution team found the case very odd — the D.A. reportedly still thinks about it — but didn’t spend much time delving into the motivations of the madwoman. 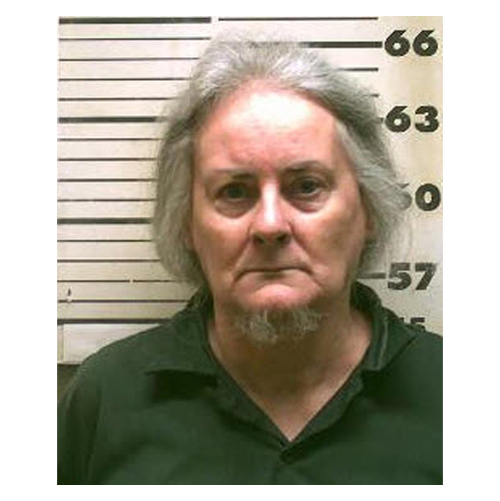 Lang has been in Bedford Hills state prison ever since. Her longtime attorney is deceased. She has grown a beard like a billy goat and ignores all interview requests. Her most recent parole interview was last August. Like every previous date, she failed to attend. So let's imagine that Lang was a product of a government-connected mind-control program. If jilted gangsters from Argentina and Macau used her to exact revenge, what could possibly connect them? 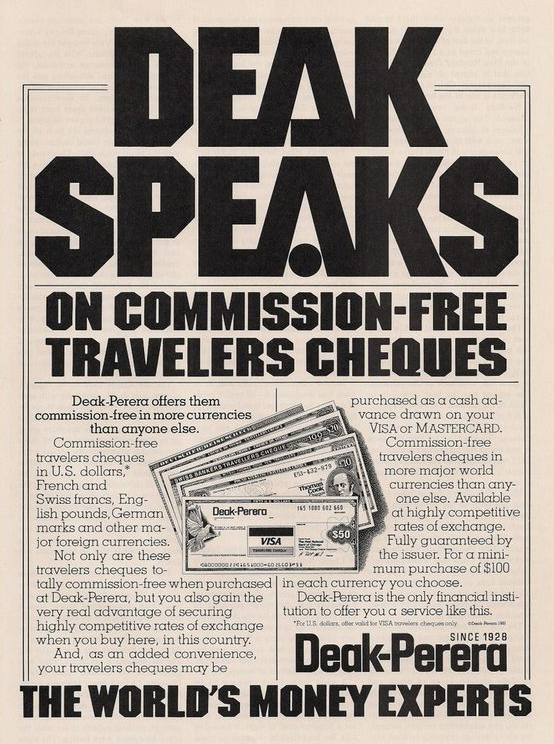 As Deak’s banking empire was collapsing in December 1984, the depositors in Deak’s “non-bank” banking outfits — specifically the Connecticut-based Deak-Perera Wall Street and Deak-Perera International Banking Corporation — included numerous rich and shady Argentineans parking their “black” cash outside of Argentina. The country was in upheaval following the Falklands War debacle that led to the overthrow of Argentina’s quasi-fascist junta and the restoration of democracy. For decades, Argentina had been Latin America’s haven for some of the world’s most wanted, its capital city of Buenos Aires a European-flavored nexus for Nazi war criminals, global Mafiosi and Western spy services. The 1970s were the scene's heyday, when Argentina’s junta participated in “Operation Condor,” a Pinochet-led regional crackdown carried out with the support of the CIA and allied dictatorships. Condor resulted in the deaths of tens of thousands of suspected leftists, including the car bombing in Washington, D.C., of Chile’s former ambassador. “Lang and the Argentineans — it’s like a jigsaw puzzle,” said Kuhlmann with a sigh. “You have to fill in the missing 30 percent. That doesn’t work in a court of law."